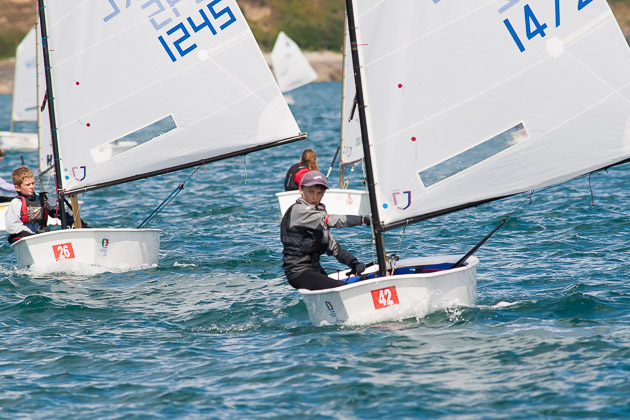 The scene was set at Royal Cork Yacht Club this morning when some 190 competitors took to the water for the first day of racing at the CH Marine Irish Optimist National Championships. 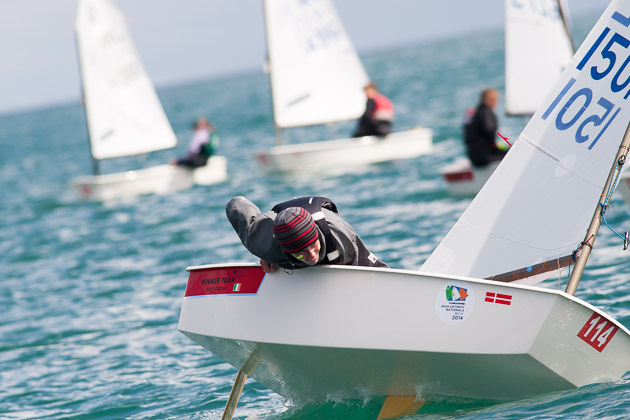 The adrenaline fueled young sailors were champing at the bit in their eagerness to get to sea to commence battle. At the launch scene with all the volunteer helpers involved and with the different accents and the varying languages resounding in the morning air, it could have been likened to the tower of babel. 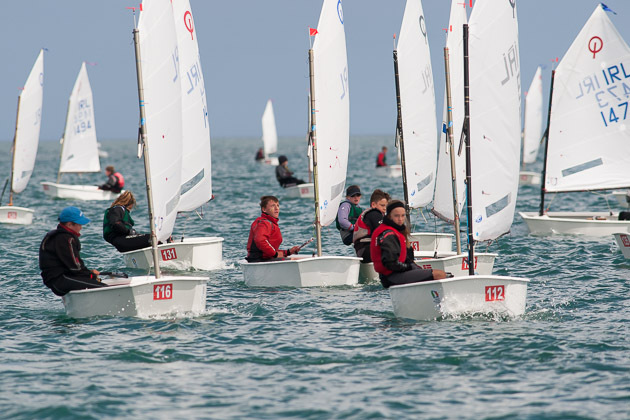 The slick preparations and procedures put into place by the host club were well evident and the large number of optimist dinghies took smoothly to the water and on their way to the race area. 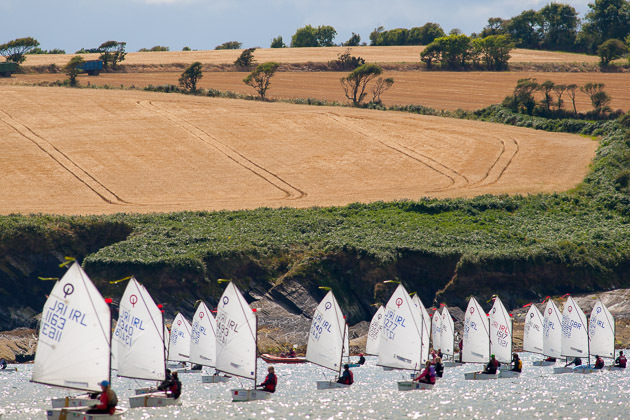 The Senior and Junior fleets headed to Ringabella with the Regatta fleet younger sailors remaining comfortably closer to home on the Curlane Bank .The beauty of Cork harbour for sailing in any type of weather conditions is well known and the variety of courses available to choose to suit such conditions is second to none. 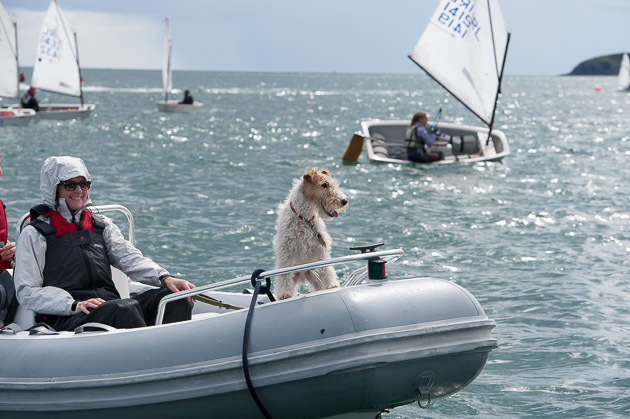 The weather proved to be in a slightly disobliging mood only providing 6 to 8 knots of a north westerly wind, at times rising to 12 knots and then dying away to 2 or 3. 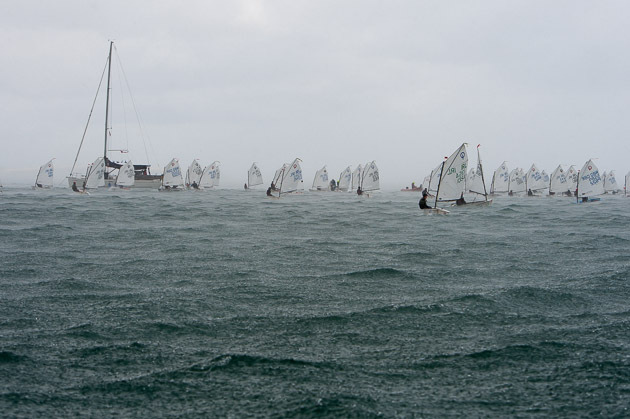 However, Race Officer David O’Brien got the Junior fleet underway followed by the Seniors and Race 1 was duly completed with the shock result in the Senior fleet of an OCS for Harry Durcan RCYC . Meanwhile, whilst waiting for Race 2 to follow, the weather mood suddenly changed and the heavens opened with an almost biblical like deluge. This duly passed over and then a change of wind direction forced a relaying of some marks with ensuing delays due to the changeable breeze. Patience persevered and Race 2 finally got under way with an excellent win for Durcan having suffered an OCS in Race 1. 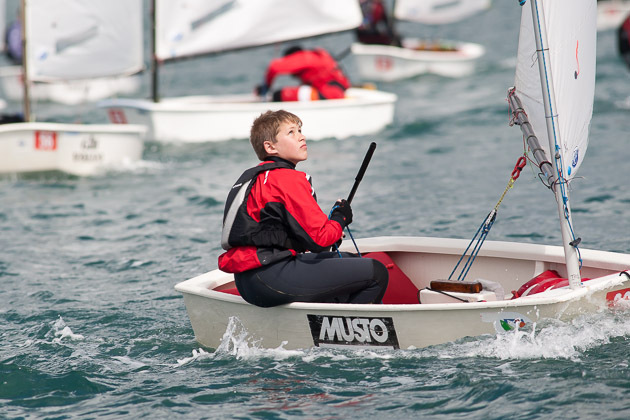 Harry will be our sole Irish Optimist representative at the forthcoming World Optimist Championship in Buenos Aires. 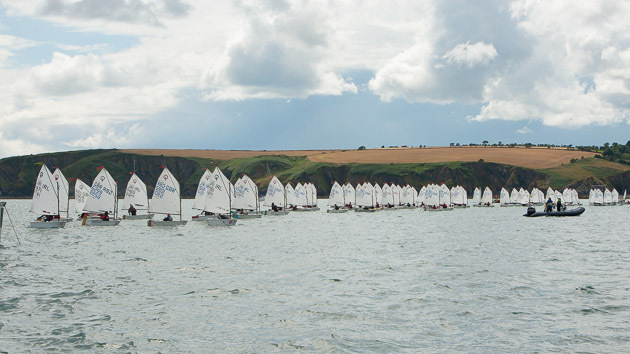 The Regatta fleet in the safe hands of Race Officer Eddie Rice, sailed on the Curlane Bank and experienced the same deluge before it arrived with the Junior and senior fleets. 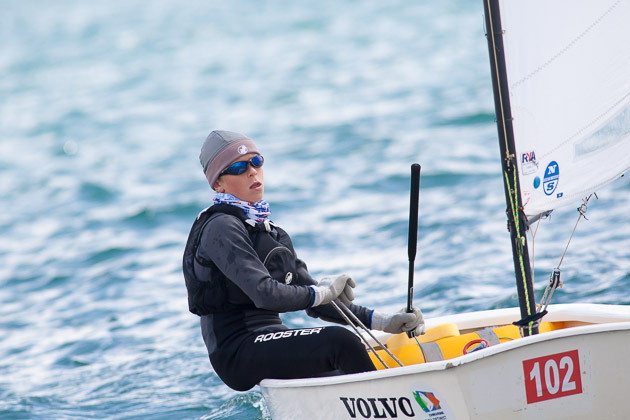 Racing went very smoothly and it was good to see the smiling faces of the sailors arriving back at the club delighted they had been able to sail two races in spite of the light winds. A tribute indeed to David O’Brien and Eddie Rice with their race teams.